How many chocolate chips do you prefer!?! 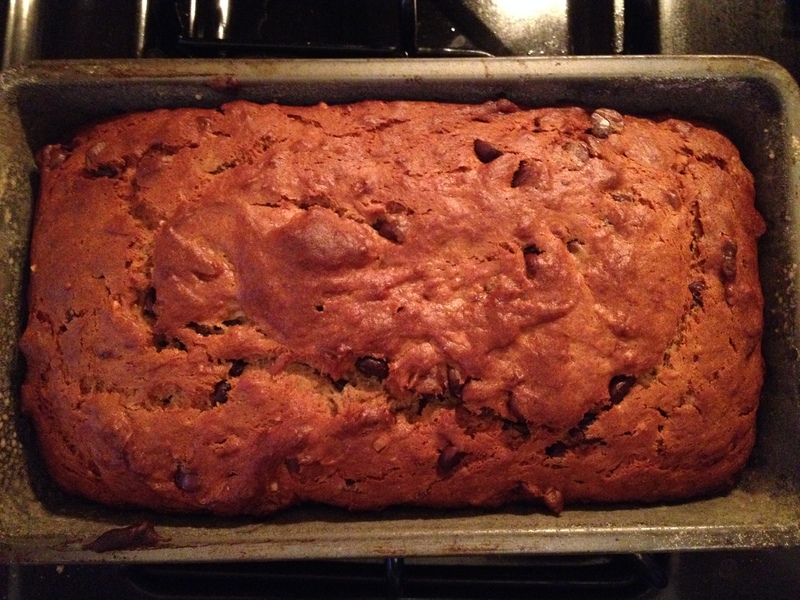 I had some baking adventures today – chocolate chip cookies and chocolate chip banana bread. Yumm-o! My husband is such a snob when it comes to his chocolate chips to cookie ratio and he prefers just 3 chocolate chips per cookie (sometimes only 2 depending on how large the cookie is). That is about 1 chocolate chip per bite if your trying to calculate! I realize that may seem daunting to some of you, but really I just don’t mix in the chocolate chips with the cookie batter. I wait until they are scooped out on the cookie sheet and then gently and precisely place 3 chocolate chips on each and every cookie (evenly spaced 😉 ). 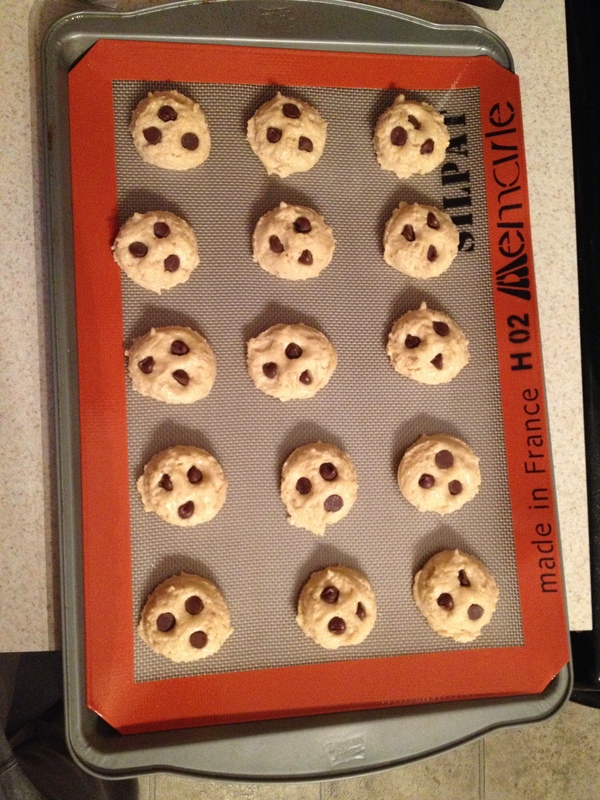 For those of you wondering – I used Tyler Florence’s chocolate chip cookie recipe. So this little quirk of his got me thinking; how many chocolate chips do you prefer!?! I know some people that would rather have more chocolate than cookie and now that I have married one, I know some that would prefer less chocolate. Nate is really not a chocolate person to begin with so it makes sense. I just love baking. Wish I had more time to do it! Hope you all have a wonderful day and would love it if you shared some of your delicious baked goods. « Grocery Hauls! and Review of Products?? ?